Last night, the Seattle Symphony celebrated a community leader who has inspired countless young musicians — Marcus Tsutakawa. Before the Side-by-Side concert with the Garfield High School orchestra, Seattle Mayor Ed Murray proclaimed Tuesday, March 1, 2016 “Marcus Tsutakawa Day” in honor his 30 years of teaching and service at Garfield High School. Marcus Tsutakawa started as a music teacher in the Seattle Public Schools in 1979 and has been the director of the Garfield Orchestras since 1985. Under his guidance, the orchestra program at Garfield grew from 19 students to a nationally acclaimed program with more than 150 students. In 2006 he was a participant for his second time in the Follow the Leader Program sponsored by Macy’s, The Seattle Times and KING 5 TV, featuring outstanding community “Leaders.” He is a past member of the Board of Directors of the Seattle Symphony and was recently added to the Seattle Symphony Lifetime Board of Directors. After growing up in Seattle and attending Franklin High School, Tsutakawa received his bachelor's and master's degrees from the University of Washington in Music Composition and Music Education respectively. Today, his former students are members of orchestras across the country, including the Cleveland Orchestra, the San Diego Symphony and the Oregon Symphony. We are proud to have three of his former students in the Seattle Symphony: Jeffrey Barker, Associate Principal Flute; Jonathan Karschney, Assistant Principal Horn; and Mara Gearman, Viola. 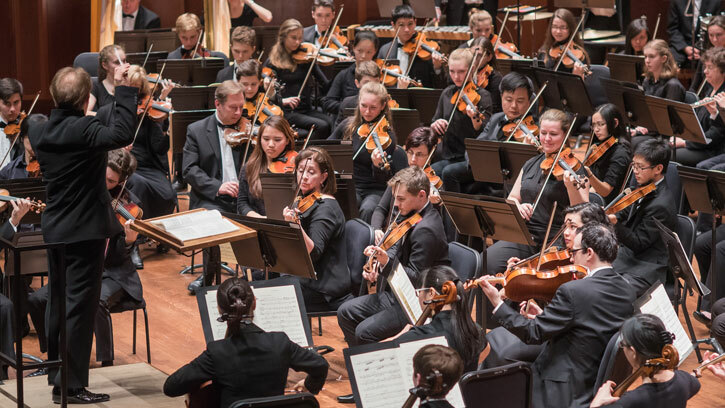 Following the Mayor’s proclamation, more than 150 students from the Garfield High School orchestras joined the musicians from the Seattle Symphony to perform a concert in Benaroya Hall. The concert ended with a Side-by-Side performance of Debussy’s La Mer, led by Music Director Ludovic Morlot.